I've just spent a couple of days shooting with the great folks from DentsuBos Toronto and Lexus Canada...which means there's a lot of editing on my plate, on top of yet-another-busy-week. But life keeps moving along regardless—personal life that is. Eleven days ago our youngest turned seven...seven years-old...crazy isn't it? Important events birthdays, even if after awhile we don't necessarily think of them as such. Or choose not to anyway. For me they're both happy and painful, symbols of completion and growth but also of our lonesome, light-speed trajectory through space. That unavoidable acceleration curve that compresses our world, given enough time. 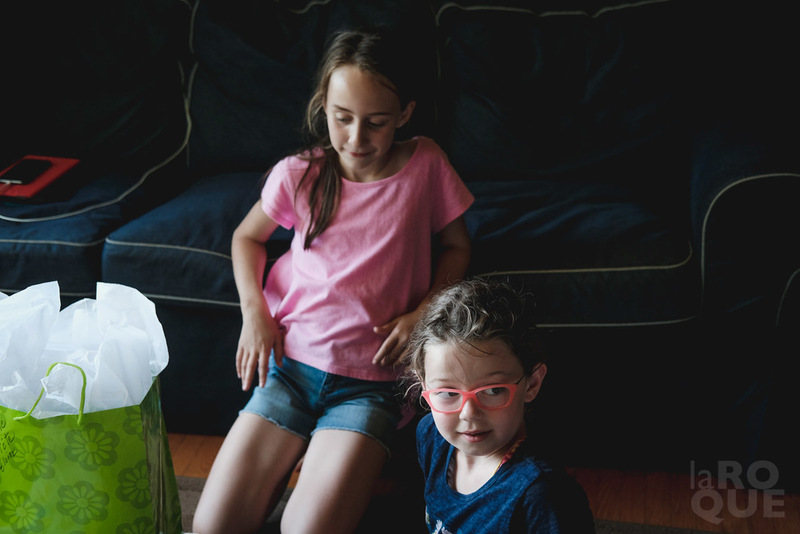 In spring Anaïs turned ten—a milestone—but I never got around to posting any of the images. I don't know...maybe some sort of Freudian slip at work? A triumph of denial? Can't have that. So here are two birthdays.